This article is a review of LOVE & MERCY. Co-written by Oren Moverman, scripter on one of the great biopics, not just music biopics, of all time, I’M NOT THERE. Again, like the Bob Dylan story, the pat, bland life story has been eschewed. LOVE & MERCY is a breath of fresh air in world cinema. Too often an entire person’s existence is condensed into movie-length – not enough time to delve deeply into a subject usually worth analysis. Generic examples include WALK THE LINE and RAY. Instead look to the likes of SELMA and RAGING BULL. 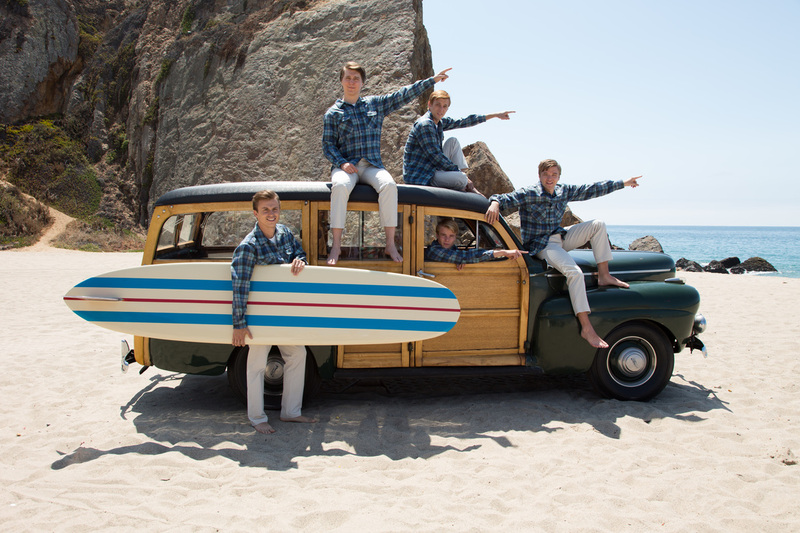 LOVE & MERCY is concerned with the 1960s and 1980s of Beach Boys legend Brian Wilson (who one was lucky enough to see in concert a few years ago, here). The masterstroke is to have two actors play the maestro, bringing different textures and nuances personal to two performers, as opposed to aging make-up that tends to make laugh inducing (e.g. J. EDGAR). Intertwining eras, including the occasional flashback, is a deft move. “Based on the life of Brian Wilson,” say the credits. Young Wilson (Dano) lies on a bed while the sound of a concert goes on in the background. Reminding of the seminal songs he created, a quick montage adjusts the audience to what it is to follow; several of them will be revisited in more detail. Cutting to older Wilson (John Cusack) at a car dealership, where he meets future saviour Melinda Ledbetter (Elizabeth Banks), he is accompanied by a bodyguard, ostensibly for his protection, but really as another tool of isolating Wilson, from family and friends, by the slimy Dr Eugene Landy (Paul Giamatti – channelling his PRIVATE PARTS douche bag boss, and taking it further). Exploiting Wilson for his gains, Landy appears unassailable. Paranoid schizophrenia is the Landy diagnosis; meaning Wilson is in his care and effectively his slave. 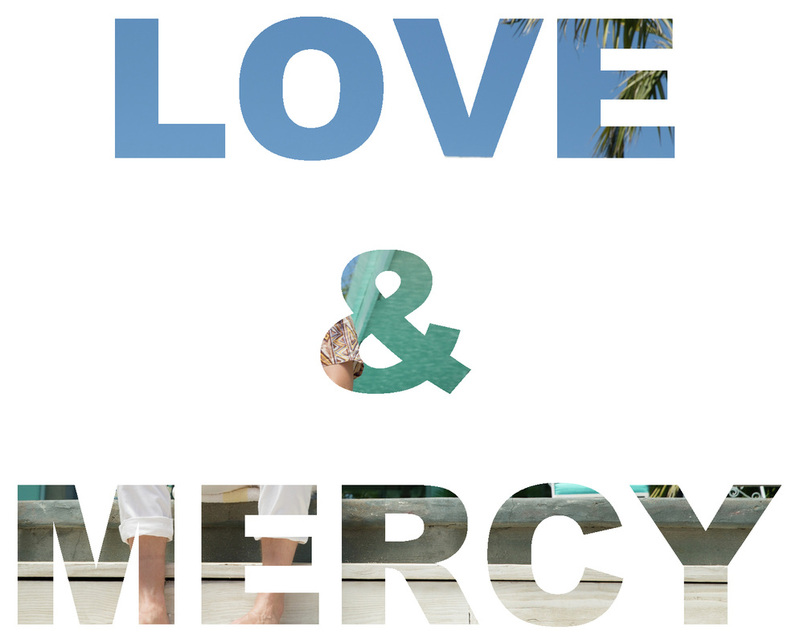 LOVE & MERCY has a heightened emotionality, sans sentimentality or histrionics. 1980s abuse and salvation is contrasted in the 1960s creation of the landmark ‘Pet Sounds’ album. Particularly exhilarating sequences involve the recording of ‘God Only Knows’ (a song used so well in Paul Thomas Anderson’s BOOGIE NIGHTS). His thought processes and directing of recording studio orchestra are as exciting as any action set-piece. Architect of the Beach Boys sound, one wonders why he needs the rest (especially at their reluctance to embrace innovation). Wilson enjoyably competitive does not want The Beatles to get ahead of them, and admirably ambitious talks of a desire to make the greatest album of all time. Brian’s fragile mental state is mirrored across the timelines, as are his mistreatment. Cruel father Murry (Bill Camp), who hit him so hard as a child that he is 96% deaf in his right ear, has just been fired as manager by The Beach Boys. This increases traits of bitterness and non-introspection already present, yet Brian still cares what paterfamilias thinks of his new musical direction. In a heartbreaking scene, Murry announces to Brian that he has sold the publishing rights to all his songs. That level of callous bullying raises the question: What can you do if no one is there to protect you? And is answered in the 1980s. When your subject is brilliant, you need a film to try and match him.